Holiday tunes: where is the Easter music? Have you noticed that there are no big holiday albums being promoted just now? And yet, it’s the best season ever. Why do we make such a big deal out of the Christmas season though we barely take the time to celebrate the real reason behind Easter? 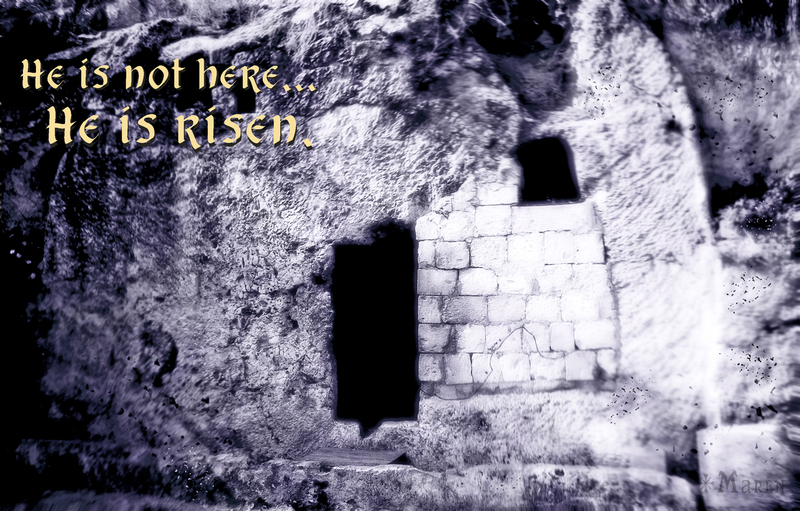 Have you noticed that, aside from the specialty candies at the store, there aren’t very many signs of anyone celebrating the resurrection of Christ? Oh, maybe you live in a place with department stores which still advertise special dresses for Easter Sunday or you may have seen a church in your area with purple bunting or something, but I haven’t. Perhaps the reason is that we are weak. Maybe the multitudinous sensory diversions of Spring get in the way of piety. It could be that the darkness, cold, and bleakness of December create just the setting we need to keep us humble and remind us of our need for Light, Truth, and Hope. If we celebrated the birth of Christ in April (when it really occurred anyway), how would our lives be different? And how would Easter, immediately following such a springtime Christmas, be celebrated? I imagine it would all be a very big deal. However, it may be that the inverse is true. Maybe we are quite good at celebrating the atonement and resurrection of Jesus Christ throughout the year, week by week at church and night by night in our prayers, so that grandiose pageantry is not necessary. Isn’t that what our regular worship is about: the simple, astonishingly great gift of Easter that gives Christmas its purpose? Perhaps Easter is and should remain a quiet, internal holiday: a time of reflection and communion between me and my Savior and you and your Savior. Either way, it’s a supremely wonderful and glorious occasion. I love good music and always find it beneficial to my faith, so here is my list of everyday, sentimental, Easter-time gospel music that I’m listening to in my car (and singing along to in my kitchen) these days. Best wishes for a Merry Easter! This entry was posted in Holidays, Religion, Spring by Maren. Bookmark the permalink.